You’re Going To Call Me What!? 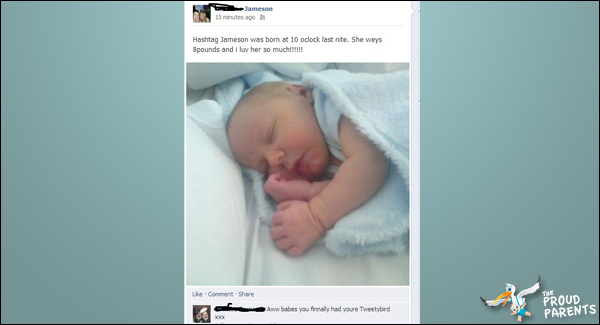 “Hashtag”, “LIKE” or “Facebook” – Worst Baby Name? Pictured above is the world’s youngest viral sensation, Hashtag Jameson, who recently climbed the ladder of internet fame and success before he’s even able to sit up. However, Hashtag isn’t the only child sporting an unusual, social media inspired name – in February 2011, an Egyptian man named his child ‘Facebook’ in honor of the role the social network played in the recent revolution. Fast forward a few months to May, 2011 and you have an Israeli couple who gave birth to a daughter they named ‘Like’ – of which, they give full credit to Facebook for inspiration. So, which baby do you think will have it the hardest growing up? Vote in our poll below. 12 Comments Baby Names // Damage Done // Facebook Fails // In The News // Parent Fail // Parent Win // Proud Family // Proud Father // Proud Mother // Random // Shocking // You're Going To Call Me What!? 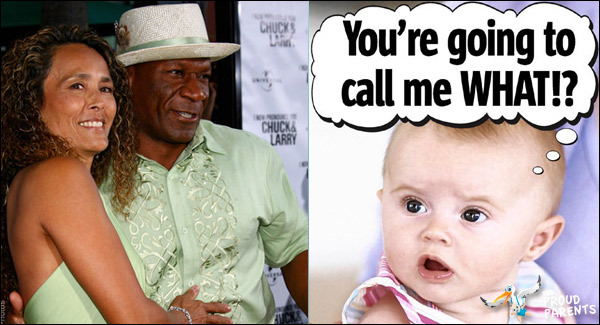 Ving Rhames is a big drink of water, so we’ll have to keep the joking about how bizarre the names of his daughter (Reignbeau) and son (Freedom) are to a minimum. I bet it’s hard to go through a Rhames family role call without hearing the national anthem in the background. 3 Comments Baby Names // Celebrities // Proud Father // Proud Mother // You're Going To Call Me What!? 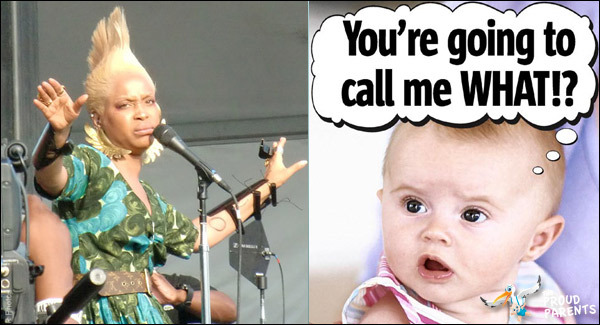 Badu said she named her first child Seven because “it’s a number and a force that cannot be divided.” Ok, we’ll buy that. As for Puma and Mars, Badu has yet to explain where the inspiration came from. Good luck solving that one, kids. 7 Comments Baby Names // Celebrities // Funny Photos // Proud Mother // You're Going To Call Me What! ?